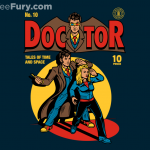 Like many Doctor Who fans, my favorite Doctor is and will likely always will be the 10th Doctor, David Tennant. I loved Christopher Eccleston and I really enjoy Matt Smith but David Tennant is by far my favorite. 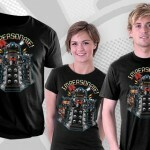 Well, for those that are also big fans of David Tennant’s version of the Doctor, I have found the perfect shirt for you! 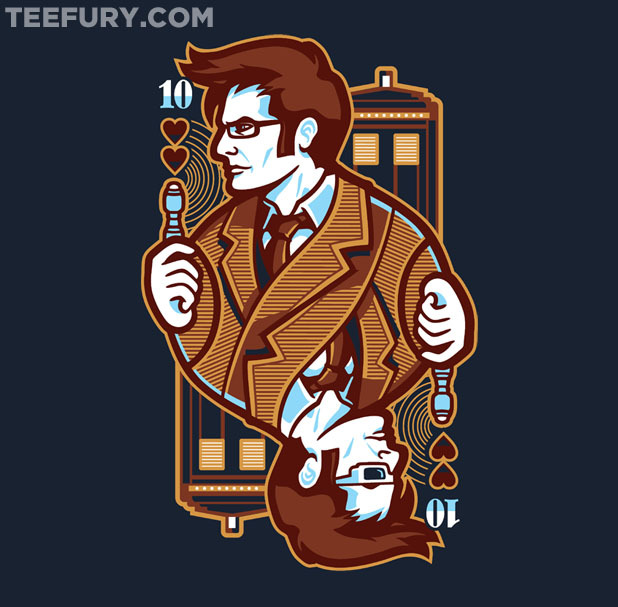 The super geeky folks over at TeeFury are selling this fantastic Doctor Who 10th of Hearts t-shirt for just $10 today only! 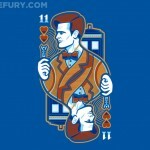 There is nothing quite as cool as the 10th Doctor and the TARDIS made to look like a playing card. 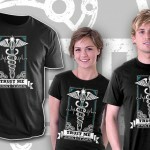 Being the huge 10th Doctor Fan that I am, you can bet that as soon as I finish typing up this post, I will be ordering one of these shirts. 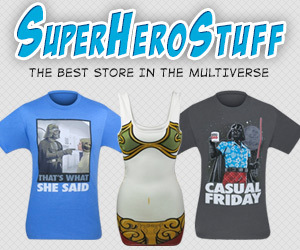 I’m not sure, but I am starting to think TeeFury has surpassed Amazon in the amount of money I spend with them every year. 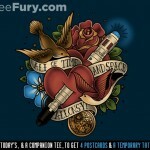 I really wish they would stop coming out with such awesome shirts, I need to save money rather than spend it!